It was a perfect day for watercolors. 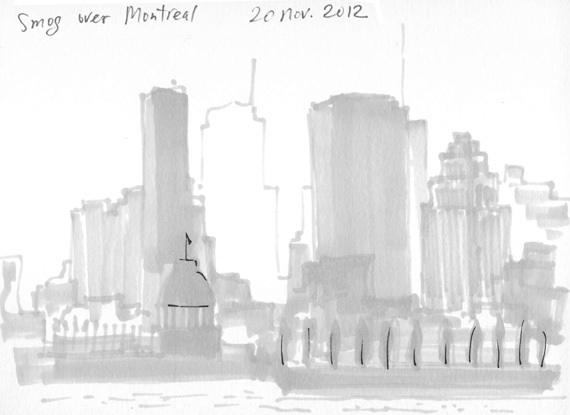 And I found myself in park Jean Drapeau, looking at the prettiest romantic golden-and-rose view on downtown with two felt pen in my bag: black and gray. Dammit!